Read about the luck and adventures other prospectors have had in their search for gold. 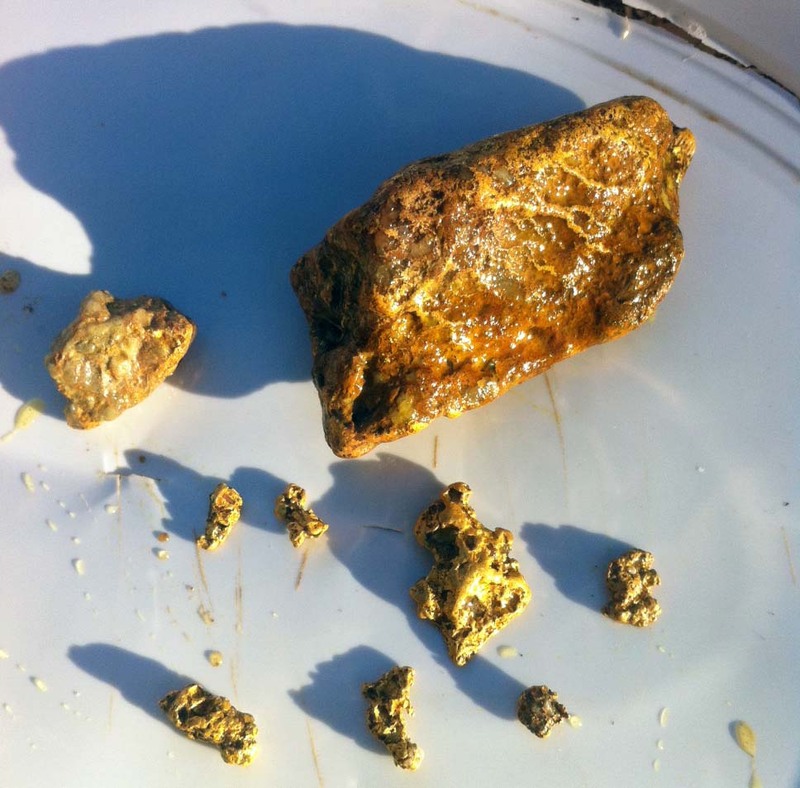 Gold Nuggets found whilst a customer was on a gold prospecting trip in WA. 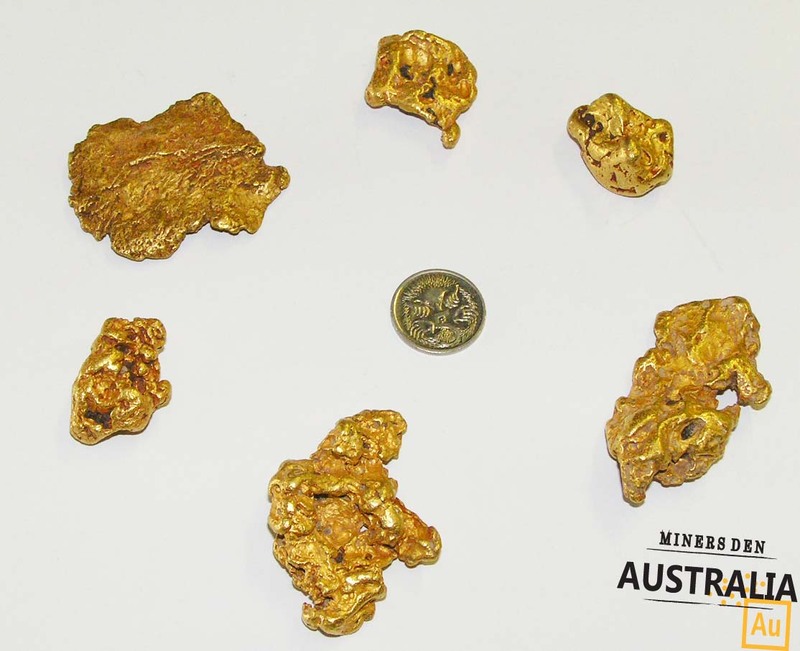 A BendigoGold customer recently stopped by the store to show us the gold nuggets that he had found on a gold prospecting trip to Western Australia. Spending 20 days in Western Australia on a solo gold prospecting trip, 170 individual gold nuggets were found weighing a total of 105 grams. The best day resulted in 25 nuggets for 10 grams. 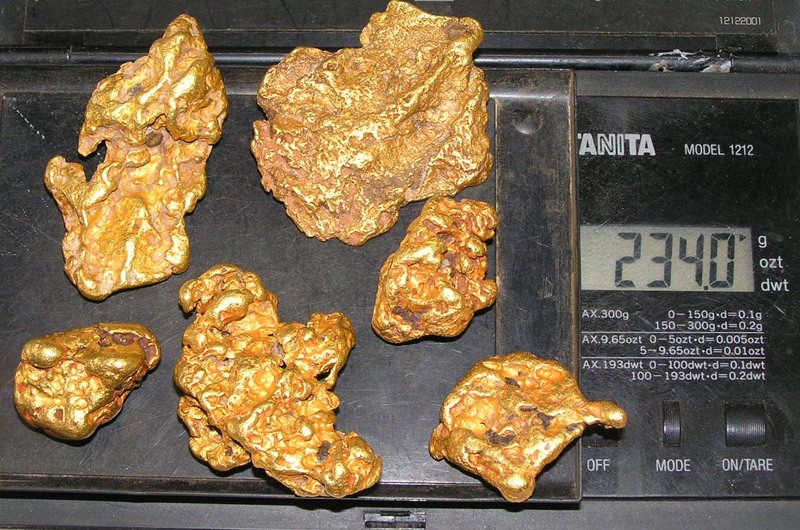 The nuggets were found using a Minelab GPX 5000 with a 17” Elliptical Nugget Finder Coil. 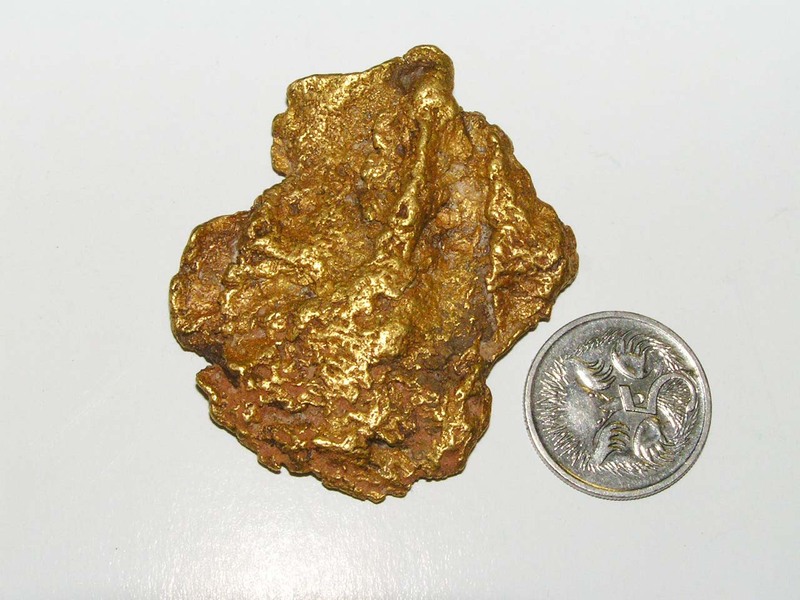 Had a regular customer drop into the BendigoGold store in the last few days and he showed us this magnificent find. 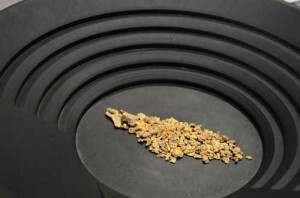 It was found using a Minelab GPX4500 and a Nugget Finder 17″ x 11″ elliptical coil at a depth of about 8″ – a real screamer! 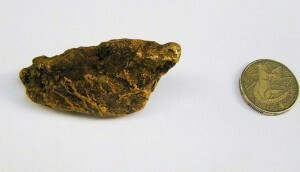 The nugget was unearthed in the last 3 weeks and tipped the scales at 195.8g or 6.3oz – at the current gold price the nugget would be worth about $11000.00. 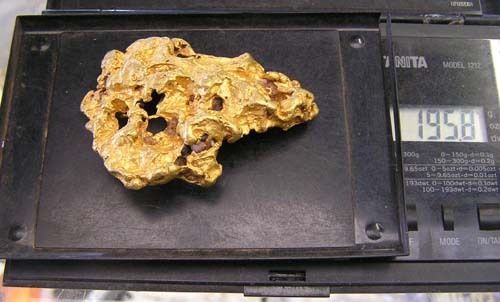 Another gorgeous photo of the 6.3oz gold nugget found using a Minelab Metal Detector. See the weight of the 6.3oz gold nugget found by one of BendigoGold’s customers. Check out these finds that a customer just bought into the Bendigo Shop. 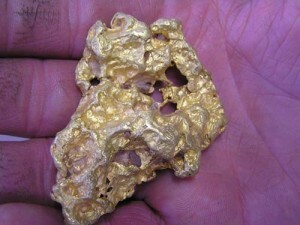 Found by a well known Victorian prospector in the golden triangle over the last 4-6 weeks. 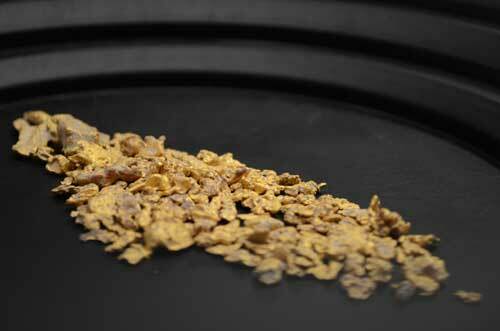 6 pieces for a total of 234 grams or 7.5 ounces, many other smaller pieces were also found. Not a bad month’s work. Regular Customer Returns from the West with the Goodies! 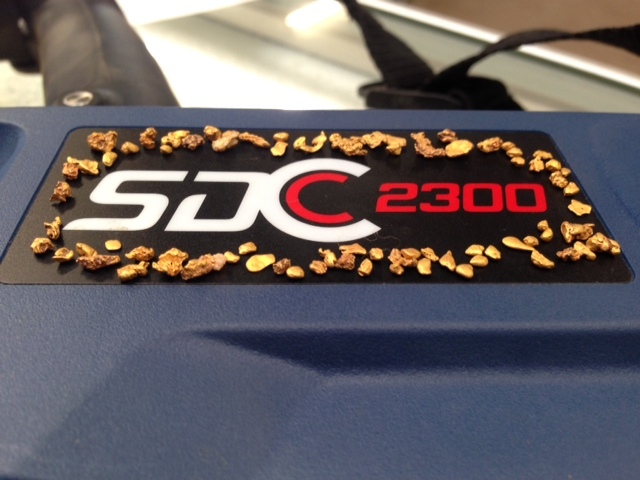 Just had a prospector drop into the shop after 10 days detecting in Western Australia. He showed us this 112 gram beauty. 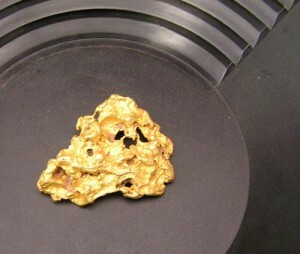 It was detected at approximately a foot and half by a Nugget Finder 17” x 11” Mono Coil using a Minelab GPX 4500 Metal Detector. 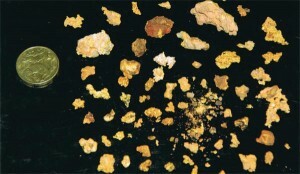 All the nuggets pictured were found in a line. It was his first trip over to Western Australia, Not a bad effort for his trip over. On the 8th of June my cousin and I were off to Kalgoorlie WA for the gold prospecting adventure of a lifetime. After 3 days of driving from Melbourne, stopping at Port Augusta and Eucla we arrived at Kalgoorlie. At the Superpit we met our guide and our fellow prospector from Ballarat. We drove north from Kalgoorlie and set up camp in a shearing shed, as the weather forecast was for some showers. 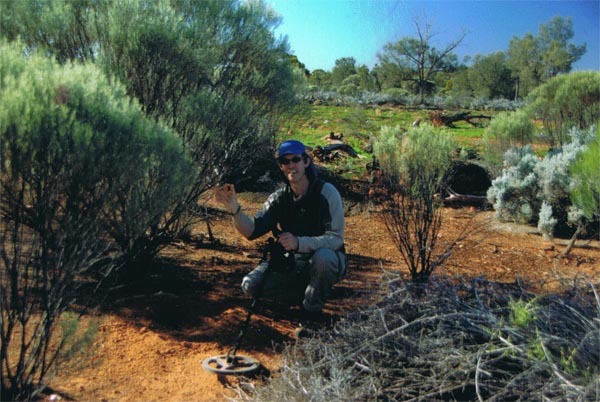 We started gold detecting on some pushings (an area where gold had been found before and the area had been bulldozed). By nightfall my cousin and I had both found gold. In the morning we would detect new ground, looking for patches and in the afternoon we would detect the pushings. We found gold every day. One of the highlights for me was about half way through the 12 day tour when I got a definite but not loud signal using my Minelab GPX 4500 metal detector under a bush. The soil was very soft with small stones in it. I dug down about 30cm and putting the detector in the hole realised the target was on the side of it. I had already dug it out. Picking up some of the dirt with my hand I felt something heavy. It turned out to be a beautiful 21 gram gold nugget. As a result, we spent quite a bit of time around there and found 2 other small pieces. On another day my cousin found a small patch that yielded about 15 pieces for about 20 grams. During the trip we learnt different ways to tune our detectors and what ground conditions to look for. On the way home, south of Kalgoorlie, we had a chance to get onto a mining company’s lease. We put our new learned skills into practice and found 2 gold pieces coming in at just under 10 grams. By the end of the trip we had detected for about 60 hours (12 days) and found 75 pieces of gold weighing 100 grams.